More than 90 percent of the estimated 212 million cases of malaria identified worldwide in 2015 are in Africa, according to the World Health Organization (WHO). With 430,000 deaths in just one year, the threat of contracting malaria is real not only for Africans but also for deployed U.S. service men and women, and countless world citizens serving in missionary and humanitarian efforts. New advances in eradication and treatment of malaria, however, and more understanding of the parasite, show promise for the future. New Drug Holds Promise for Single-Dose Cure. Researchers at South Africa’s University of Cape Town (UCT) have announced a new antimalarial candidate that could pave the way for a single-dose treatment, which boosts malaria eradication when used in combination with other preventive measures. According to an article in Science Translational Medicine, 26 April 2017, compound MMV390048 could block life-cycle stages of the malaria parasite. Specifically, research shows the drug’s efficacy across the three stages of the parasite’s life cycle: liver, blood and transmission. It also was shown to be effective against resistant strains, in preventing infection and in blocking transmission. According to Kelly Chibale, corresponding author of the article and UCT Drug Discovery and Development Centre founding director, this means the drug could kill the parasite in infected individuals before symptoms present. It could also be used when patients are visibly ill and could help block further mosquito transmission. The drug will enter the second phase of clinical trials in 2017 in Ethiopia. If outcomes are successful and funding is available, the drug could be on the market in six to eight years, says Chibale. Malaria Drug for Pregnant Women May Treat STIs. In related news, a drug used to combat malaria in pregnant women also could treat sexually transmitted infections (STIs), says researchers at the London School of Hygiene and Tropical Medicine. Results of a study found that sulfadoxine-pyrimethamine could reduce the risk of contracting STIs, such as gonorrhea, chlamydia, trichomoniasis and bacterial vaginosis. Sulfadoxine-pyrimethamin is recommended during antenatal care visits for intermittent preventive treatment (IPTp) of malaria in pregnant women in malaria-endemic areas. According to the study, women who had two or more doses of IPTp-SP, compared to zero to one dose, had their risk of contracting malaria reduced by 76 per cent while the risk of getting gonorrhea or chlamydia was reduced by 94 per cent. Additionally, researchers found that women who received two or more IPTp-SP doses, compared to zero to one dose, had their risk of experiencing stillbirth, low birth weight, pre-term delivery or intrauterine growth retardation cut by 45 per cent. Published in Clinical Infectious Diseases, 2 March 2017, the study was conducted between November 2013 and April 2014 in the Nchelenge District of Zambia. Malaria Parasite Attracts Mosquitoes to Humans. The malaria parasite Plasmodium falciparum produces a molecule that makes infected humans emit carbon dioxide and other volatile compounds that attract mosquitoes and help them spread the disease more efficiently, according to researchers at Stockholm University (SU), the Swedish University of Agricultural Science and Sweden’s KTH Royal Institute of Technology. The molecule, HMBPP, works by stimulating red blood cells, says Ingrid Faye, researcher at the Department of Molecular Bioscience, SU, and corresponding author of the study, published in the 9 February 2017 issue of Science. 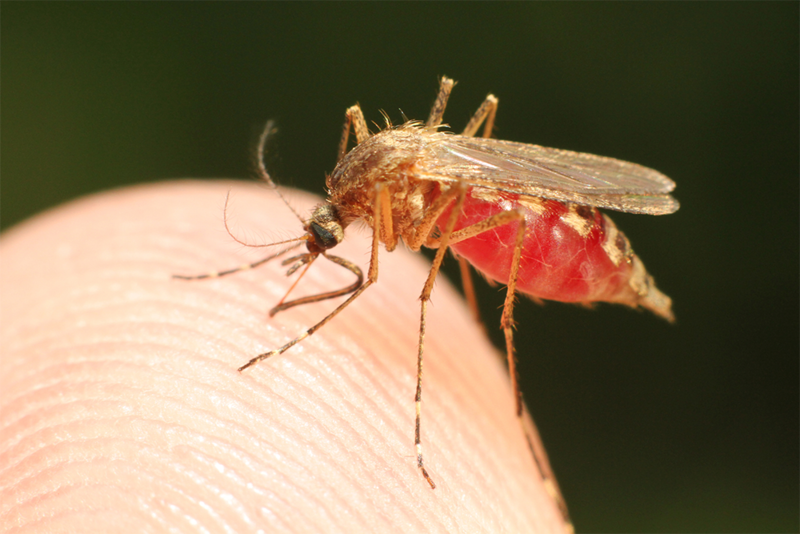 Researchers also found that HMBPP not only attracts mosquitoes but also spurs them to eat more blood, thus enabling production of greater numbers of parasites. According to Faye, the attraction—and subsequent spread—to human hosts works like this: If a malaria-infected mosquito bites an individual and that person develops the disease, the resulting infection would cause carbon dioxide and the organic compounds aldehydes and monoterpenes to be released from the victim’s skin or breath. The odors, in turn, attract uninfected mosquitoes to bite the infected person and get the parasites themselves. Those newly infected mosquitoes will then carry the transmission of malaria to another person. And the cycle continues. Although researchers focused their study on Anopheles gambiae, the primary mosquito vector responsible for the transmission of malaria in most of sub-Saharan Africa, they believe other mosquito species react to HMBPP the same way. “The more we understand the parasite, and how it can be carried by the mosquito from one human to the next, the easier it will be to find ways to defeat malaria,” says Faye. She adds that one way would be to devise mosquito traps that attract molecules similar to those HMBPP causes red blood cells to produce. SCiDevNet is an online news service for science and technology for global development.